Capital of East Flanders, city with stunning cultural heritage with more then a 1000 years of history and a city of science, with around 60,000 students in higher education, Ghent really is one of the most interesting places in Belgium. In contrary to its more famous neighboring city of Brugge, Ghent is full of beautiful medieval buildings, but it’s not a town-museum. Quite the opposite, it has a great night life, thanks to large student community. So, there should be no problem to found a nice bar for enjoying great Belgium beers. History of Ghent starts in the 7th century when the two abbeys at the banks of the River Scheldt, St. Bavo and St. Peter’s were founded. Later on, they were destroyed by Vikings, but the monks came back and rebuilt them. In the following years, the town started to grow around them. The most prominent time for Ghent was 13th century. The city mostly lived from trading and its most important source of income were cloth and wood trade. Middle Ages were the golden era for the city. By the 13th century it was the biggest city in Europe after Paris. The majority of Ghent’s most prominent buildings were built in Middle Ages. Much of them remains intact and are well preserved. One of the most stunning one is St. Bavo’s Cathedral. A well preserved Romanesque crypt is the oldest part of church. Although todays Cathedral is built in 14th century in Gothic style, it’s interior mostly consists of Baroque and Rococo furniture and paintings. 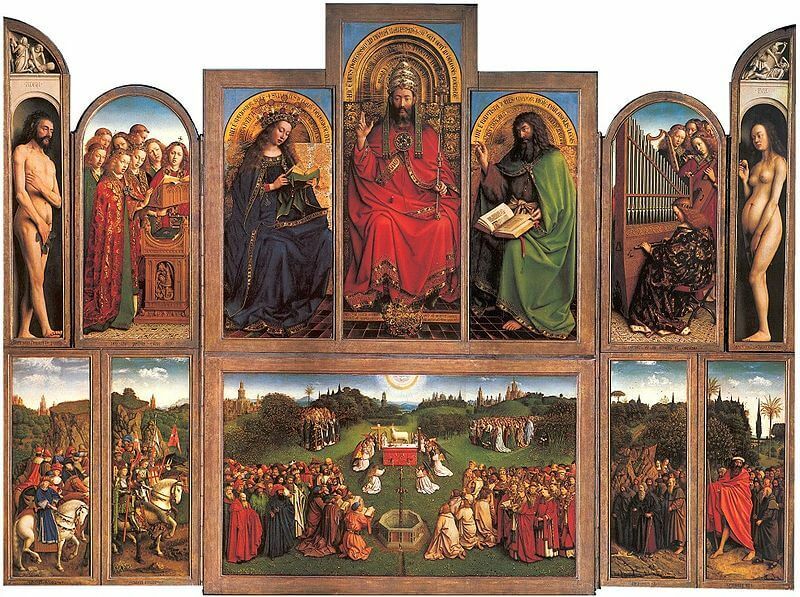 The most famous one is „The Ghent Altarpiece“ (1432) made by brothers Hubert and Jan van Eyck. Beside the saints and Biblical scenes, in one of the panels the contemporary view of the city is painted. It also includes realistic depiction of 42 different species of flowers, trees and other plants. Opposite to the crypt entrance another famous masterpiece is shown – P.P. Rubens’ „The Conversation of St. Bavo“ (1623) for which, the painter itself said that it is one of his best paintings. Opposite to the cathedral is Belfort (Belfry), 91 meters high town hall’s tower, from 14th century. On its top „Ghent Dragon“ which symbolically watches over the city is perched. From the time tower was built, city watchmen was taking care from it’s gallery in order to sound the alarm if the fire would be spotted. Next to Belfort, the Town Hall is situated. Its oldest part was built in 14th century, but the construction took 6 centuries to be done, so different architectural styles can be seen on it. One of the most remarkable places in the city is Sint-Michielsbrug (St. Michael’s Bridge). The monumental bridge was built to mark the World Fair in Ghent held in 1913. From it a beautiful view to the city, the old harbor and medieval buildings at the river banks could be seen, as well as a unique view to the Ghent’s three towers – the St. Nicholas Church, St. Bavo’s Cathedral and the Belfry. Northern of the St. Michael’s Bridge a stunning Gravensteen is situated. The Medieval castle was built in a 12 century and was a home of the Counts of Flanders. They lived here till 1400 when they moved to more comfortable Prinsenhof. After it, the castle was used for different purposes which led at the end to its decline. It was in poor condition when its reconstruction started back in 19th century. Nowadays, the Museum of Court and Weaponry is hosted here and it’s open for visitors. On the opposite part of the city another Medieval fortress is situated. The black castle Geraard Duivelsteen was built in 13th century on a strategic position at the bank of River Scheldt, close to St. Bavo’s Cathedral. It had many functions during the centuries: it was a rich patrician home, a warehouse, the school of the Hieronimites, an orphanage, a mental hospital and after 1828 a fire watch. One of the most amazing things about Ghent is that, despite its great and rich cultural and architectural heritage it’s not a city-museum. It is really vivacious city, with a huge student population and a lot of bars and restaurants. Festivities and celebrations have a long tradition here as well. One of the oldest ones, the Mittfasten Fair was first mentioned in 1366. The largest one, Ghent Festival, takes place every year in the July, lasts for ten days and it is attended by about 2 million visitors each year. 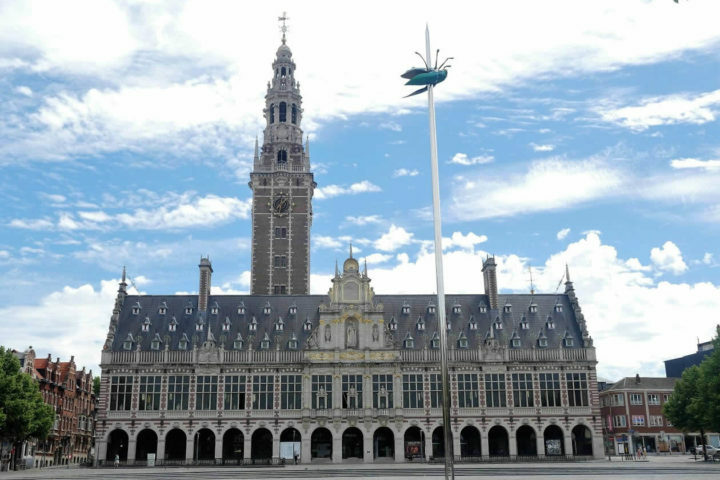 The town offers an admirable cuisine, as the rest of the Belgium, but the city is also well known for its promotion of the vegetarian food. It has the World’s largest number of vegetarian restaurants per capita and it also promotes a meat free day on Thursdays called „Dinderdag Veggiedag“ with vegetarian meals served in public canteens, schools and restaurants. With its stunning Medieval architecture, the city of towers, but also the city of great Belgian beers and outstanding food, really deserved the title of the coziest city in Flanders, which has got at 2005.